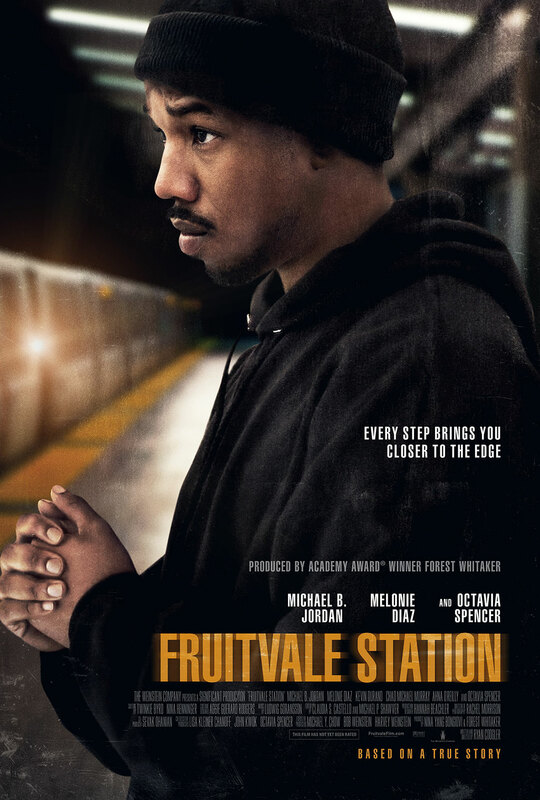 Movie Trailer for Biopic Fruitvale Station. Michael B. Jordan, Melonie Diaz and Octavia Spencer star in the biodrama produced by Forest Whitaker. Watch the Fruitvale Station movie trailer below. Recounts the last day in Oscar Grant’s life, a 22-year-old Bay Area resident, who crosses paths with friends, enemies, family, and strangers before he was detained and killed by Bay Area Rapid Transit (BART) police officers at the Fruitvale subway stop. MPAA Rating: (R) for some violence, language throughout and some drug use. Winner of both the Grand Jury Prize for dramatic feature and the Audience Award for U.S. dramatic film at the 2013 Sundance Film Festival, director Ryan Coogler’s FRUITVALE STATION follows the true story of Oscar Grant (Michael B. Jordan), a 22-year-old Bay Area resident who wakes up on the morning of December 31, 2008 and feels something in the air. Not sure what it is, he takes it as a sign to get a head start on his resolutions: being better son to his mother (Octavia Spencer), whose birthday falls on New Year’s Eve, being a better partner to his girlfriend Sophina (Melonie Diaz), who he hasn’t been completely honest with as of late, and being a better father to Tatiana (Ariana Neal), their beautiful four year-old daughter. Crossing paths with friends, family and strangers, Oscar starts out well, as the day goes on, he realizes that changes are not going to come easily. His resolve takes a tragic turn, however, when BART officers shoot him in cold blood at the Fruitvale subway stop on New Year’s Day. Oscar’s life and tragic death would shake the Bay Area – and the entire nation – to its very core.